Here’s how she made these today. If you make anything from this recipe, do the simple sauce to drizzle on the meatloaf. It rocks! It’s now my favorite sauce for meatloaf. In saute pan, combine olive oil, onion, garlic, green chiles, and saute until soft. Add Emeril’s Essence, Italian Seasoning, salt, garlic pepper, black pepper, and Worcestershire – warm through for about 1 additional minute. Let cool. In large bowl, combine beaten eggs with milk, add crushed tortilla chips, and let set a few minutes to absorb some liquid. Add ground beef, cooled onion mixture, chipotle peppers and adobo sauce. Combine all ingredients until thoroughly mixed. Place in large baking pan or cast iron skillet, and shape to your liking (flattened football gives the best crust). In separate bowl, combine chili sauce, pepper jelly, chipotle peppers and adobo sauce. Spoon over meatloaf. Add a small amount of water to surround the meatloaf (about 1/4″ deep) to increase crust factor. Bake at 350 degrees for about one hour. Lower heat if needed last 10 minutes to avoid bottom burn. Remove from oven, and let set for at least 15 minutes before removing to plate and slicing. 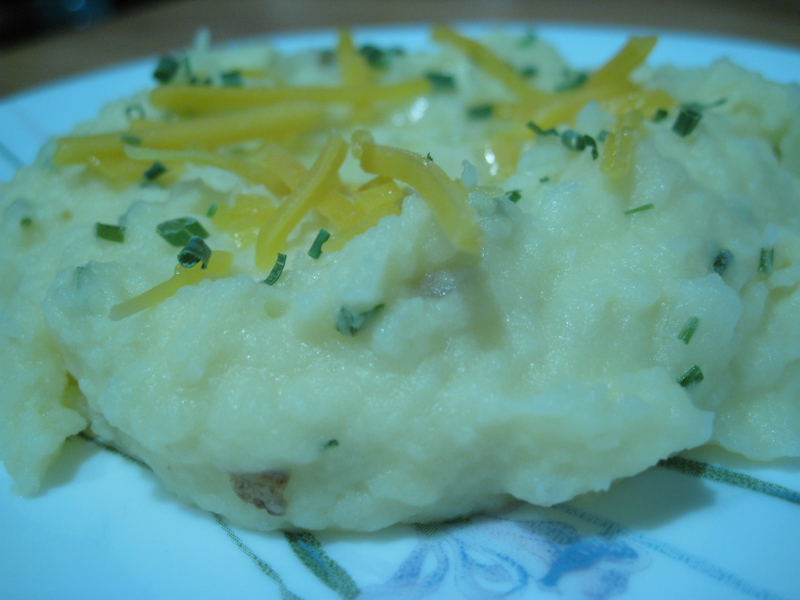 Serve meatloaf over potatoes, with favorite veggie as a side. This looks interesting. I think I’ll have to attempt it sometime. Of course I’ll have to adjust it for me and the kiddos but still want to keep the zest. Not sure how I’ll do that…any ideas? @tabitha – all the heat in this dish comes from the last 2 ingredients, in both the meat and the sauce. Simply back WAY off on the chipotle peppers and the adobo sauce they’re packed in. The canned chipotles are cheap, and ONE pepper would add lots of flavor, without heat… in a recipe this size. Trust me, it won’t burn you and you’ll get the smoky spicey flavor. You can find mild pepper jelly from “Four Monks” in the grocery store. My mom’s meatloaf was always my favorite but my wife has stepped in on that department now. This looks awesome I can imagine the combination of flavours here and this looks and would taste amazing. I think I am making the meatloaf soon! 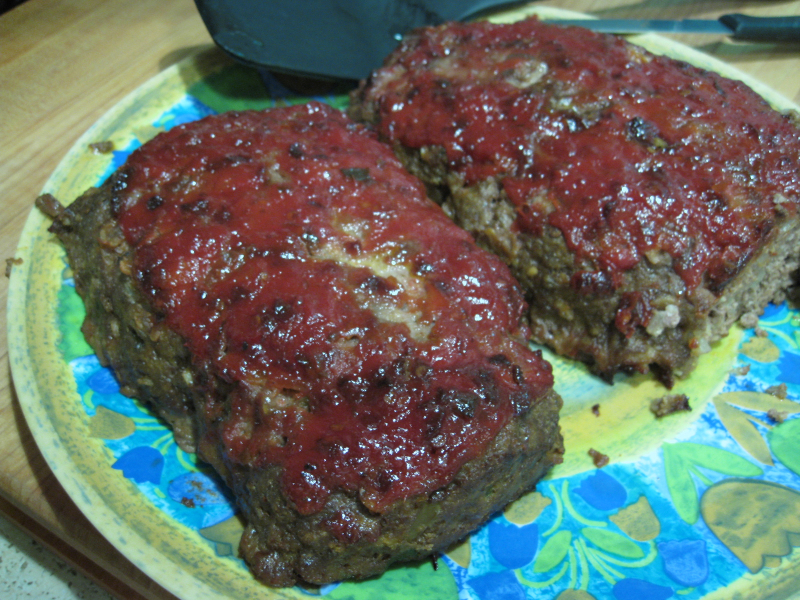 This meat loaf would be even better done on a hot grill (or that is my excuse for trying it!). .-= A post from Chris’s blog …Probing Questions About Thermometers =-.